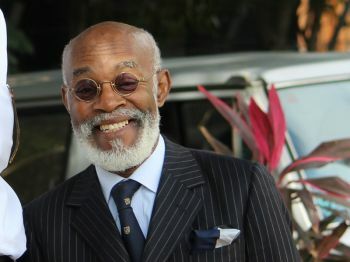 Dr. Archibald who was called to the bar in 1960 in St. Kitts and Nevis migrated from his homeland in Nevis and continued to practice law in the Virgin Islands; his experience having taken him through all court levels of the Caribbean, from the Magistrate’s Court to the Court of Appeal and also to the Judicial Committee of the Privy Council in England. Dr. Archibald was also credited with taking the name of the Virgin Islands further afield through his exceptional competence and finesse to not only balance his propriety for law, but also through lending his accomplishments within the law to the Territory. According to his biography, read by Attorney Ayanna S. Hull when he was honoured last year by the New Life Baptist Church in Duffs Bottom, Dr. Archibald had served as one of the first Presidents of the BVI Bar Association and also the OECS Bar Association where he helped in shaping the rules and guidelines for ethical practices and behaviour of barristers and solicitors who were admitted to practice at the Eastern Caribbean Supreme Court. 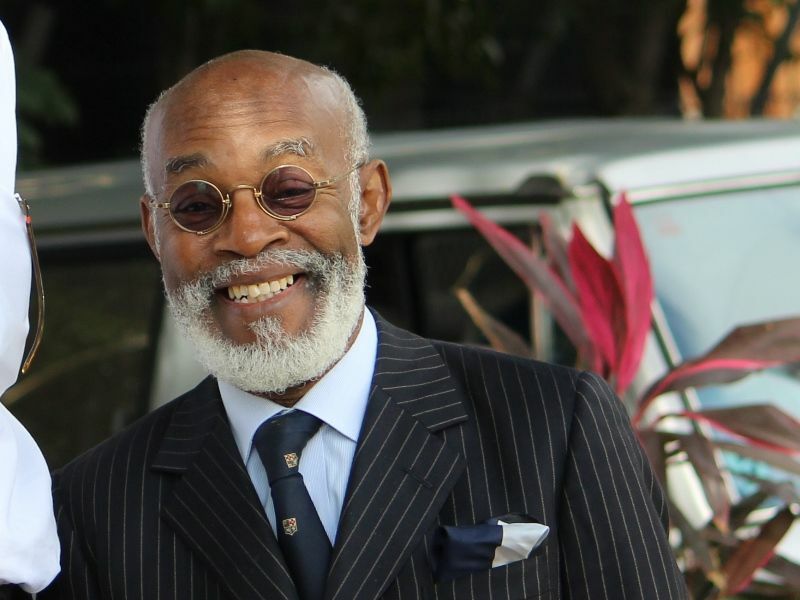 Dr Archibald also served in the Virgin Islands as the High Court Registrar, Magistrate, Senior Crown Counsel, President of the Civil Service Association, Director of Public Prosecutions, Attorney General and Member of both the Executive and Legislative Councils. Attorney Archibald was the husband of current Deputy Governor of the Virgin Islands V. Inez Archibald. The Staff, Management and Board of Directors of Virgin Islands News Online offer our sincere condolences to the bereaved family on the passing of Dr. Archibald. Acting Premier, Dr the Honourable Kedrick D. Pickering in a statement today April 4, 2014 said the Government of the Virgin Islands joins the Territory in mourning the passing of Dr. Joseph S. Archibald, QC. “We extend condolences to his wife, Deputy Governor of the Virgin Islands, V. Inez Archibald and the family in this time of bereavement,” the statement said. “Dr. Archibald, QC was highly intelligent; he had a brilliant mind and was one of the best conversationalists I have ever known,” said Hon Pickering in the statement. “He was a legend of his era and one of the most renowned legal minds in the Caribbean,” he said. “Dr. Archibald, QC will truly be missed throughout the British Virgin Islands and the Caribbean. On behalf of the Government of the Virgin Islands, may God bless and comfort the family of Dr. Joseph S. Archibald during this difficult time,” concluded Dr Pickering’s statement. If you have something bad to say who is stopping you from saying it? It seems like you are vexed that people say good things when someone passes. You so dumb you ain get the point. Since you didn't get it, let me break it down for yuh. We need to stop telling lies about dead people. I agree if you can't find nothing good to say, keep yuh mouth shut, but don't lie and say a man good when he is not. Yeah, I'm gonna hold my peace. Someone else will deal with him. Not only a great mind but a great man with a great heart. I could see him dancing his way to heaven. Dance my wise counsel dance. Mrs. V I pray that you and the family find comfort in this sad moment. Walk on walk on with hope in your heart and you'll never walk alone. At the end of this storm is a golden sky with the sweet silver song of a lark. Walk on through the wind walk on through the rain. Walk on. "Dancing his way to heaven" why people always like to put people in heaven when they die? do you know the condition of his soul? He is asleep until the trumpet sound. There will be 3 ressurrections. Which one he will come forth in no one but God knows. We just have to make sure that we come forth either in the first or the second one. I only know about 2 ressurrections. Please enlighten me. Peaches, to resurrect in the biblical context means to raise from the dead. As in Thessalonians 4:16, you are correct the dead in Christ will be resurrected. However, you are only partially correct that the living in Christ will be caught to meet Him in the sky but there will be no need for Christ to resurrect them. Hence, the bible speaks of two (2) resurrections. My condolence to the Archibald family as they mourn the passing of very great legal mind. Almost or 90% of lawyers will not have their names in the Lambs book of Life. Why? Because 90% of practicing law is about dishonesty, trickery, and lets make as much profit as we can not caring who we destroyed. Now if he isn't like that then he has a good chance, but seeing that he was a New Life Baptist parishioner .....it isn't looking to promising. He was a staunch Methodist. Interesting concept...3 resurrections. Can you explain which souls will be in the 2nd of the 3 resurrection? My deepest sympathy to Mrs. V. Inez Archibald and her entitre family on the lost of Dr. Archibald, Q.C. May God grant him peace. SORRY TO HEAR THE SAD NEWS. WE MUST PREPARE TO DIE. ONCE THERE IS LIFE THERE WILL BE DEATH. THE QUESTION IS, ARE WE PREPARE TO DIE? WHERE WILL MY SOUL/SPIRIT GO WHEN I DIE? THERE IS LIFE AFTER DEATH. YES, WHERE? HEAVEN OR HELL. WE HAVE TO MAKE THAT CHOICE NOW. TOMMORROW IS PROMISE TO NO MAN/WOMAN. THE BIBLE SAYS, IT IS APPOINTED UNTO MAN ONCE TO DIE AND AFTER DEATH IS THE JUDGEMENT. PREPARE PEOPLE AND LET US BE READY WHEN DEATH COMES. My sincerest condolence to Mrs. Ines Archibald and family. Mr. Archibald (Archie) an excellent friend and lawyer. MAY HIS SOUL REST IN PEACE. A GOOD MAN GONE TO MEET HIS MAKER. Deeply saddened. A brilliant mind and kind human being. May he rest in peace. JS wow, you gone. wow, I miss you man. Mrs. A. sorry for your loss. You see, we don't miss brilliance until its gone. We treat our excellent minds with nothing but criticism when they are among us and now they are gone we only realize their true contributions to this country. JS excel to the level of appeal court judge and has been practicing for over 50 years. Have we young ones gain any thing from his experience? We need to look to our national assets and learn from them so we the young ones will one day become the same. Our grand parents thought us about bush and leave lots of land for us, we took it and sell the land for nice cars and shoes and we forget the bush and stay on the pills and now a law giant has past and i hope the young ones gain from him. JS we miss you and love you. GOD Bless your soul. Our deepest condolences to the entire Archibald family at this difficult time. A very brilliant advocate of the law. We watched many of his presentations from the sidelines and his preparedness for trial. Always a case or rule to back up his position. Rest on, Dr. Archie. Wish we could have sat at your feet and learn from you like Paul sat at the Feet of Gamaliel. The Virgin Islands and the Caribbean Justice System have lost a son and an example for young lawyers. We mourn with the family at this time. His legal candle will ever shine bright in the minds of those who truly knew him.